Today, on November 24, 2013, media has reported that actor Larry Hagman died of complications related to his throat cancer at the age of 81. It is unclear exactly where the throat cancer was localized to (tongue, tonsil, supraglottis, hypopharynx, oropharynx, etc). 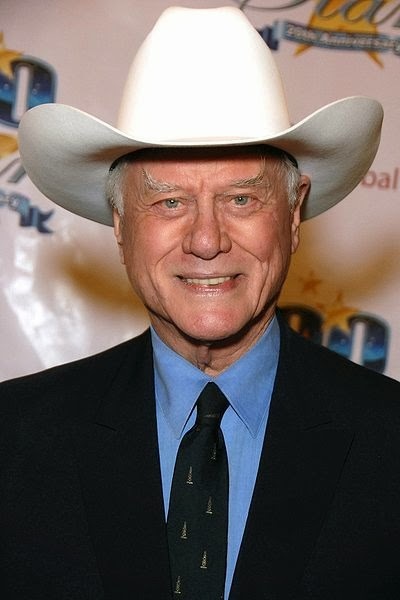 Larry Hagman is a well-known actor playing oil baron J.R. Ewing in the soap opera Dallas (1980s as well as 2012) as well as Major Nelson in the TV sitcom I Dream of Jeannie. Most impressive was the fact that he continued to act while undergoing cancer treatment for the Dallas remake. In June 2011, Mr. Hagman was diagnosed with stage 2 throat cancer. After treatment with radiation and chemotherapy, on Aug 29, 2012, media reported that the actor was "cancer free." Sadly, such media reports of "cure" or "cancer free" were way premature and actually misleading given his death merely 2 months later. I reported in my blog on Aug 30, 2012 that there's no such thing as "cure" or being "cancer free" when it comes to throat cancer, especially right after cancer treatment. One can use words like "shrunk", "excellent response", or even "no clear evidence for cancer at this time", but terms like "cure" or "cancer free" should never be used. Throat cancer, especially stage 2, has the potential to come back, even if there's no perceptible signs of it after treatment. There is ALWAYS the possibility of cancer coming back in the future. The risk of cancer recurrence is highest within the first 2-3 years after treatment completion, and markedly decreases after 5 years. Typically if cancer has not come back after 5 years, the word "cure" may than be used, but even than, such patients are seen yearly for the rest of their life for cancer monitoring. Given the high risk of cancer recurrence, patients are seen frequently for the first 2-3 years after treatment. Every 2 months for the first year. Every 3-4 months in the 2nd year. Every 4 months in the 3rd year. Every 6 months in the 4th year. Yearly starting at 5 years after treatment. This type of follow-up applies to all head and neck cancer. Larry Hagman dead at 81, portrayed notorious TV villain J.R. Ewing. Yahoo News 11/24/12.